“The Note has always been our showcase for premium technology and industry-defining innovation, and Galaxy Note9 is no exception,” DJ Koh, President and CEO of IT and Mobile Communications Division, Samsung Electronics told an audience at the Samsung Unboxed event in New York. “It’s designed for a level of performance, power, and intelligence that today’s power users want and need. On the specification front, Samsung Galaxy Note9 includes a 6.4-inch Quad HD+ Super AMOLED Infinity Display, that’s nearly bezel-less on the sides. 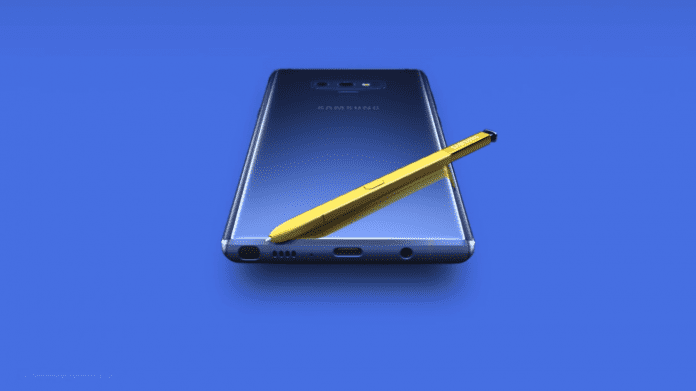 Samsung claims its all-new Galaxy Note9 is ‘super powerful’. It is powered by Qualcomm’s Snapdragon 845 chipset for the US model, and in-house Exynos 9810 SoC for other markets. It provides cellular download speeds of up to 1.2Gbps (gigabits per second) with the Snapdragon X20 4G LTE modem. The Note9 will also offer powerful gaming performance with the Adreno 630 GPU and it ships with Android 8.1 Oreo. The smartphone is powered by a huge 4,000mAh battery – the largest ever on a flagship Galaxy phone – which Samsung is promising will deliver “all day” battery life. Samsung Note9 is available in two variants: 8GB RAM + 512GB storage and 6GB RAM + 128GB storage. Like the Galaxy S9 Plus, Samsung’s Galaxy Note 9 will also have a dual-rear camera setup comprising of a 12-megapixel primary lens with a dual aperture that can shift from f/2.4 aperture to a wider f/1.5 in low light conditions. The secondary camera has a 12-megapixel lens with f/2.4 aperture, while there is an 8MP selfie camera on the front. What’s new is that the camera has a “scene optimizer” feature that uses artificial intelligence (AI) technology to automatically identify the environment or thing you’re shooting. It will automatically detect what it’s looking at, and adjust the settings accordingly to take the best possible picture. Also, if the camera detects that a picture has any imperfection, like a blur or shut-eye, so they can quickly take another picture. It features Dual Aperture technology, which Samsung introduced earlier this year on its Galaxy S9 range. This adjusts the camera lens to light in the same way as the human eye. The biggest highlight of Note9 is the new Bluetooth-enabled S-Pen that allows you to control the camera. In other words, you can set up a group photo and use the S-Pen as a makeshift camera shutter button, or can use it to pause and resume music playback, or scroll through PowerPoint presentations. The new S-Pen charges while it’s stored in your phone and a one minute charge lasts a half hour. Pre-orders for the Galaxy Note9 begin on August 10th and the phone will be available on August 24, starting at $999.99 for the 128GB model and $1,249.99 for the 512GB model at all major carriers or direct (and unlocked) from Samsung.